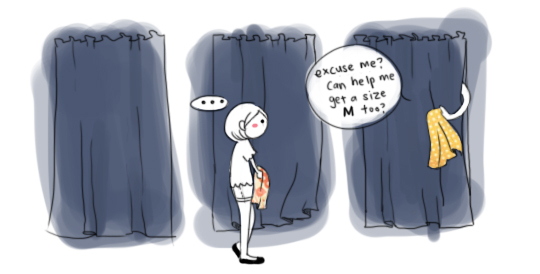 Always happens when I go shopping with my mom. Mana tau, baby brother also always kena. But he's is usually at coffee shops where you have to refill your own pot of tea. *laughs* That's even worse lorh! Pou Leen : LOLOL GAH! But only happens when I'm with MOM! Aduhai! Hayley : hahaha cause cannot be I don't help my mom ma.